Who would think us Arizona residents would even need heaters out here in the desert! The truth is, it gets cold in the desert - especially in Mesa, Arizona! When the temperatures drop, people kick on their heaters and some may need some service or repair! That's where we come in! AC Repair Mesa offer the absolute best Heating Repair in Mesa AZ! We fix any brand HVAC to get you and your loved ones heated up so you can enjoy the cold winter months! AC Repair Mesa is a full service Heating Contractor and we service the entire eastern Arizona Valley. We fix all HVAC heat pumps or heating furnaces! Armstrong, Bryant, Carrier, Coleman, Honeywell, Janitrol, Lenox, Payne, Rheem, Rudd, York, Goettl, American Standard, and any others! 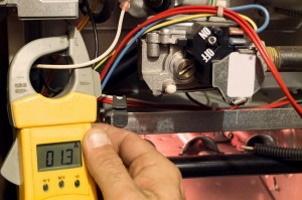 Why get a heater repair in mesa? Well if you heater is not working, the obvious answer is to keep you warm during the winter months! Don't you worry though, we offer the most affordable Heating Repair in Mesa Arizona! ​We realize that many people are on a budget and obviously don't like spending money on Heater fixes and problems. We keep it affordable, honest and professional. We are quick and effective at diagnosing and fixing all your HVAC problems so you can get on with enjoying your life! Just remember to always use AC Repair Mesa for all your Heating and Cooling needs!